The venture started with a phone call from Raymond Miller RWM of St Fothad's Lodge No. 1059. Raymond is a Past Master, a past member of Provincial Grand Lodge and a Grand Lodge Steward. He asked if I would like to go to Basel in Switzerland to assist in the installation of a new Master and on hearing the details I jumped at the chance. I had worked with Raymond, and other members of the party that were going, on a steering group committee for an Almoner's Society within the Province of Fife and Kinross. I can only assume that is why my name was considered. The contact in Switzerland was Raymond's brother, James T Miller, who was in the process of having an English speaking Lodge consecrated in Basle. There were German, French and Italian speaking lodges in Basel and James sought to assist his English speaking friends in the Swiss Fraternity. It became increasing obvious to me, as I heard all the proposals that this was going to be a very special and unique occasion. The new Lodge was to be consecrated by the Grand Lodge Alpina of Switzerland while the new, and first master, would be installed by our wee team. It was down to us to do a good job, as we were not only representing our own Lodges but Provincial and Grand Lodge as well. We soon realised that the honour of the invitation we had received, was huge, and therefore called for a good commitment. The pressure on us was enormous. 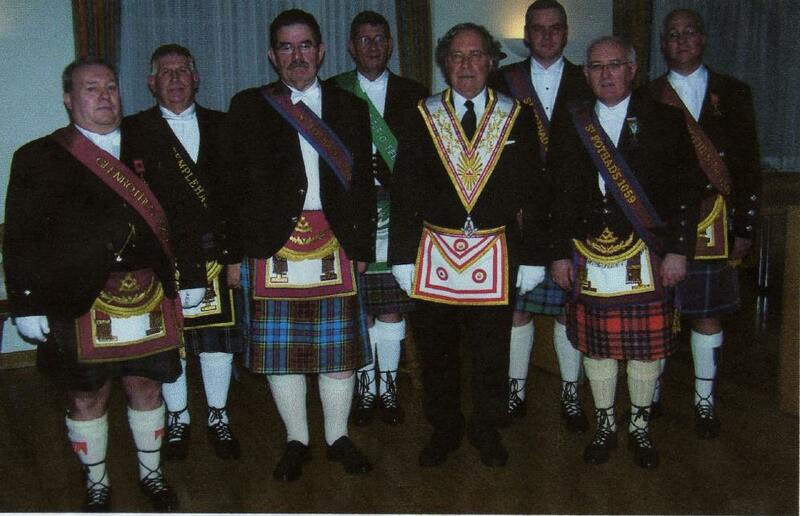 Fred Robb of Lodge Glenrothes 1549 was the inner guard. We all had lectures to do. The whole ritual had to be adapted to suit the Swiss constitution. The time and effort in carrying out this task must have been daunting, but was carried out by Raymond Miller in a cheerful manner. The team decided that they would purchase a lectern Bible as a gift for the new Lodge and Derrick Anderson and Raymond colluded over computer generated certificates and insertions for the fly leaf of the Bible. This was ongoing while we had rehearsals in St. Fothad's Lodge rooms. Each knew his own part but the presentation was not what we wished it to be. Perhaps being away from familiar surroundings or the adaptation of the ritual was causing the difficulties. The team gave a good commitment and we did start to gel together. Credit goes to Ian Seivewright, who is registered Blind, and was `spot on' with his perambulations, this gave the team renewed confidence. Everyone worked with a good and willing harmony and as the day drew nearer so the excitement and apprehension mounted. The day of travel, Friday 28 th November 2008, arrived and after an early start from home the team assembled at Edinburgh Airport in ample time for the flight to Zurich. As we waited to check in, the boyish banter started, with Ian S winding up Raymond M about the number of photos he took and myself leaving my camera in the glove compartment of my car. Derrick must have found the early rise too much as he had difficulty in counting how many cups of coffee were required. On arrival at Zurich Airport we were delayed at the passport control for a while as James had misplaced his passport. He assumed that he had dropped it on the plane but a search of the plane proved negative. After consultation with the gun carrying Passport Control Officers and the production of Photo I.D from a driving licence and everyone able to vouch for him, he was allowed to proceed. We were met at the airport by a work colleague of James who drove us in a minibus to the Lindenhof Lodge in the centre of Zurich. James T. was collecting equipment and Masonic paraphernalia for use in the Consecration Ceremony. The lodge rooms were really an eye opener for me. I am unable to find enough adjectives to properly describe the building and its contents. We were shown rooms, which are permanently set up for meetings, wonderful display cabinets containing priceless Masonic memorabilia. Some items dating back to the Reformation. We saw the electronic systems that control the lights, doors, music and tracing boards in the lodge, along with displays of swords and stain glass windows. The treasures that we were shown in the Refectory Hall, which can seat over 100 diners, are of great interest. For myself the most striking item was a Masonic tree made of silver. The tree stood approximately 2' 3" tall in a glass case and is a wonderful example of the Silversmith's art at its highest level. The branches and leaves bore examples of Masonic tools and Symbols. Some so small and fine it was difficult to see them with the naked eye. The overall effect was stunning in a room that had fine woodwork panels on the walls. These can be seen throughout the building. I was impressed with quality of all the woodwork of the building from the magnificent front doors to the architraves and skirting boards. The Lodge is built on the site of a Roman Ruin and an original Roman wall is incorporated into the structure of the building. The foundations were excavated in 1938 and are preserved for the Swiss Nation. We were astounded when taken to view this area, that in order to gain access to the underground museum an area of cobbled walkway adjacent to the building was raised by means of a hydraulic ram to reveal a staircase leading down to the preservation area. The ruins were expertly labelled. Unfortunately these were all in Swiss German and my linguistic abilities are not good in that area. We only had time to skim through the building but time was pressing and we had to move on as James T., our guide and host, had arranged for us to go to a 3rd Degree in Bern. We had an interesting drive through the Swiss countryside. The journey took longer than we anticipated. Therefore we arrived at the Lodge rooms of Lodge Bon Accord of the Swiss Constitution with barely enough time to change and enter the lodge on time. While we were changing in a convenient room adjacent to the Lodge and with most of us in various states of undress the door suddenly opened and a gentleman walked in on us. The gentleman was rather taken aback and so were we when we learned that he was none other than The Most Worshipful Brother Bruno Welti, the Grand Master of Grand Lodge Alpina of Switzerland. Embarrassment all round was soon overcome and proper introductions were made before adjourning to the Lodge. James T. found his passport in his shirt pocket while he was changing so that caused some good natured comments from us. The degree work was conducted in Swiss German and although I did not understand the language I was easily able to follow the ceremonial. The Music was live on this occasion and the Lodge was about 2/3rds full. The Lodge had a deputation attend them and present them with a new gavel on the occasion of their 50th Anniversary. We had been made very welcome and the seating in the Lodge was the equivalent of the best cinema or theatre seats with modern metal and light sculptures decorating the walls. Unfortunately, time was pressing and we were unable to stay for the Harmony. We later learned that the Director of Ceremonies had travelled from Moscow to take part in the degree and was flying back the same night. We travelled to Basel during the night stopping at a motorway service station for some refreshments. The sandwiches and the chocolates James T. had provided kept us going during the long run until we were able to book into our hotel. Once booked in, all sought liquid refreshment. Ian Sievewright was devastated to learn that his small Vodka and Lemonade cost him 14 Swiss Francs (about £7.00). We retired for the rest of the night with the knowledge that there was a rehearsal for all at 9.00AM the next morning. I shared a room with Jim Mack and although he snores heavily this did not prevent me from dropping off for a good sleep. Saturday morning breakfast consisted of a high quality continental style meal, which fortified me for the morning's work. The weather was cold and crisp but not unpleasant to walk in. It was therefore decided that we should all walk to the venue to do a little sight seeing. The town was fully decked with Christmas Decorations and the market stalls and local shops were busy. The streets were clean and well maintained. We lost our way due to James giving us wrong directions but Fred Robb turned on the charm and asked a young local girl for help. She was very helpful and gave us very good directions to enable us to arrive in time for the 'rehearsal'. Our walk took us past a town clock and temperature gauge. We were surprised how quickly the temperature changed in the winter sunshine, which made the saunter very pleasant. The 'rehearsal ' consisted of setting up the Room we were to use in the hotel complex with Swiss and Scottish flags and the usual Masonic furniture. We had exclusive use of the Restaurant / Brasserie ESCALE, Messeplatz 1, Basel, which helped us to relax and take stock of the room we were to use. The Swiss Grand Lodge Office Bearers worked out their plan of campaign and timetable. The lodge does not have a carpet therefore Ian Seivewright had to pace out his perambulations and establish his markers. The preparations paid off, as Ian didn't put a foot wrong. We were introduced to many people over coffee and during lunch, this made the morning fly in and it was time for us to return to our hotel to change into our 'tribal dress' for the 3.00PM ceremony. We returned at leisurely pace viewing the various stalls and shop displays when Derrick Anderson came upon a charity stall, which was depicting a tableau of the Christmas Shepherds tending their sheep. The Shepherds were dressed in monk like habits, holding crooks and stood as still as statues. 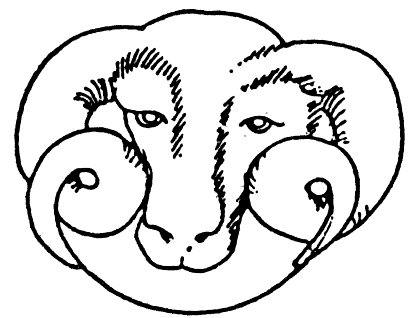 The sheep were represented by one large model of a sheep with a bowl recessed into its back to receive donations. Derrick exercised that virtue close to a Freemason's heart and dropped money in the bowl. This action triggered a reaction that caught Derek unawares for the 'shepherds' raised their crooks and struck the floor. The resulting thunderclap nearly gave Derek a heart attack and he jumped about six inches in the air in shock. The laugh we had over the expression on Derrick's face was priceless. I am happy to report that the trend Derrick started continued and before we left the stall area the shepherds were banging their crooks like Gatling Guns. Once we had changed, we made our way back to the Restaurant Complex passing a very fine brass band performing in the street. Jim Mack remarked, tongue in cheek, that it was good of them to put on show just for us coming. The complex had filled up with many of the delegates and many languages being spoken. The air of anticipation was high among the brethren, which did not help our nerves and our wish to do a good job. The Grand Lodge Alpina of Switzerland Office Bearers were very smart in their regalia in national colours of white and red. The director of ceremonies stood out as he wore a top hat. He wore this hat all during the ceremony only removing it during prayer and when a Masonic chain was formed during the consecration service. The consecration service of the new lodge St Andrew's Lodge No 83 Basel was conducted in Swiss German but we were able to follow the dignified ceremony with ease although surprised that the ritual was read from books, with the exception of the work on the floor by the Director of Ceremonies. Grand Master Bruno Welti dedicated the lodge, with approximately 250 brethren in attendance, in a very moving ceremony. At the conclusion of the ceremony the Lodge was adjourned or 'called off' for a comfort break and to allow the installing team to be received in the manner of the Swiss constitution. The Lodge resumed and our deputation was led into the Lodge by Bro. Reinart van Meteren, who is the Official piper for the French Grand Lodge. Fred Robb, our musician in the group, commented on his accomplished performance. The gavel was handed to Bro. Raymond Miller after words of welcome. The installation ceremony was carried out in English (in varying Fife accents). The assembled Brethren were amazed at the talents of the installing masters, Raymond and Derek, for presenting so much of the ritual from memory as is the custom in Scotland. They gave a very polished performance and all enjoyed the presentations. At end of the presentation of the Volume of the Sacred Law lecture by Raymond Miller the bible, we wished to present, was carried by Ian Seivewright. It was graciously accepted by the New and First Master Bro. Norval Gough. We had all given of our best and the accolades we received when we finished were terrific. We received many individual congratulations for a good performance from many brethren and during a sherry / wine reception we were able to congratulate the new office bearers and wish them well for the future. The ladies of the founder members and some of the guests joined us at this point. The relief that the installation had gone well was plain for all to see and we all relaxed as we were piped into the dining room. The Staff had decorated the tables. The menu was of a Scottish nature with locally produced 'haggis'. We were very well 'fed and watered' at the festive board and the company was in a jovial and celebratory mood. Toasts from Grand Master Welti and the Grand Masters of Latvia and the American and Canadian Lodges in Germany, to mention just a few, that were proposed. Musical interludes from the Piper also entertained the company. Many new acquaintances were made during the meal. Explanations of what a haggis is, along with invitations, to come and sample the real stuff were given, as well as pledges to 'keep in touch'. I was seated next to Jurg Keilworth, the Bible Bearer of the New Lodge, who hopefully will visit Scotland in the summer. Brethren from the American and Canadian Lodges in Germany and their ladies completed the table that Fred, Ian and myself sat at. The evening festivities came to an end and to our surprise our table guests paid for all the refreshments we had consumed at the table. This kind gesture was one of many we received during the weekend. We returned to our hotel changed and feeling rather pleased with ourselves went for a 'quiet' drink in a nearby pub. We found a number of the new lodge members and guests there, and so the party continued. Everybody had a good time, but as tiredness crept over me I soon retired to bed. Some of our party decide to stay on and felt the consequences the next morning. They slept in and as result, missed breakfast. We packed up and eventually all boarded the minibus. Then James T. took us to his home where his charming wife welcomed us. We did a bit of Sunday morning sight seeing around James's town and then had a beautiful lunch at his home. This hospitality was very much appreciated by all of us. However, the time came for us to depart for the airport and our return journey. We managed to board the plane after a slight hiccup with the details on Ian's ticket and settled into our seats. The flight home was uneventful and as we landed, the realisation that the weekend was finished struck home. The trip was over and we are now back to 'auld claes and porridge' .